Depart daily (on request) from hotels and guest houses. Pick-up from private homes by arrangement. The Madikwe Game Reserve was established in 1991 on land that was previously used for cattle farming and some agriculture. An intensive environmental development program combined with re-introduction of wildlife has turned this area into one of the premier game reserves in Africa. Operation Phoenix was the name given to the restocking and monitoring program that would take five years to complete and lives up to it's name 'Phoenix' that has 'risen from the ashes'. It was one of the largest translocations of game ever to have taken place in the world. 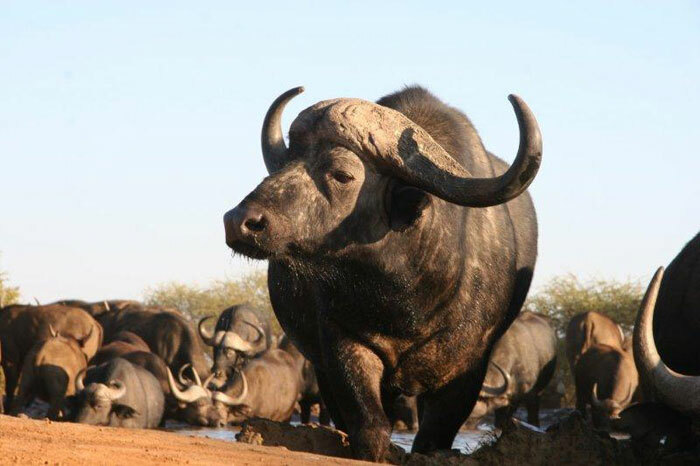 All the large mammal species that were historically indigenous to the Madikwe area have been re-introduced. 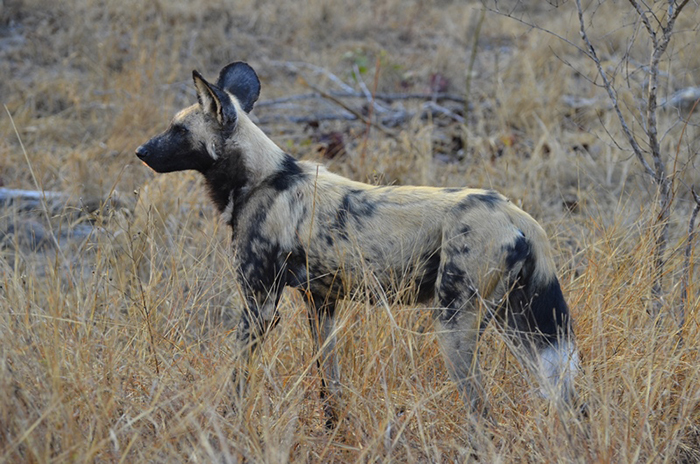 Of special concern were the endangered animals such as wild dog, white & black rhinoceros as well as cheetah. Elephants were taken from the Kruger National Park culling program and from the drought stricken Gonarezhou Reserve in Zimbabwe. Today tourists are able to witness the success of this remarkable project as the reserve abounds with Big Five species and Madikwe boasts the second largest elephant population in South Africa. 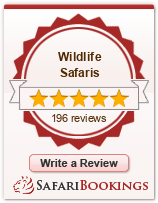 Early in 2013 we had overseas guests at The Bush House in Madikwe Game Reserve north-west of Johannesburg. This was our first chance to experience the "Hide" which has been constructed right next to the waterhole situated in front of this lodge . The Bush House boasts one of the best waterholes in Madikwe and now everyone is talking about the fantastic photo opportunities from the Hide. In Africa, a " Hide " is an enclosed structure where guests can visit to watch animals and birds in their natural habitat . Hides are often constructed near waterholes with a good vantage point and in such a way that the animals are not disturbed by the guest's presence. Pilanesberg National Park has several Hides where its possible for families to get out of their vehicle & walk down a passageway to sit at the Hide which is very exciting for children. Early in 2012, owners of The Bush House, Sue and Gordon called in friends & engineers to assist in planning the hide . Below were some of the main points in their brief. 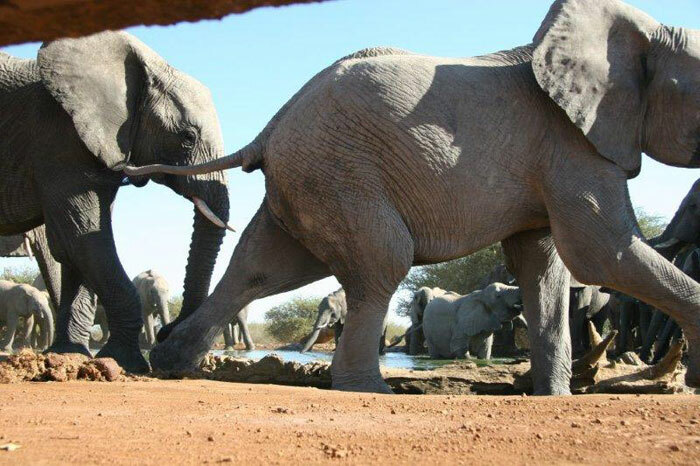 To prevent this Hide from obstructing the view of the waterhole from the front of the Lodge , access would have to be underground. Guests would proceed from the Lodge gardens or rock pool via a tunnel to connect with the Hide and they would feel secure in spite of wild animals drinking at the waterhole . The roof of the tunnel would be reinforced to make it sufficiently strong to withstand the weight of 5 ton elephants walking across the area ! The interior of the Hide should be large enough to seat several people & have an opening infront to facilitate photography but a dropdown grid for security reasons . Inspite of many challenges & dangers encountered during construction of the Hide , it was finally finished according to specifications & has become a great attraction for guests at The Bush House plus a unique asset to Madikwe Game Reserve. Size of reserve - 75 000 Hectares & perimeter fence 150 kilometers. Location of Madikwe Game Reserve - North West Province, South Africa. Borders Botswana. Climate - Arid area - rainfall between 475 and 520 mm per annum. Hot in the summer months September - April and cold in winter. Rainfall can be expected during the summer months. Malaria - There is no malaria in Madikwe Game Reserve. Game - Predators: Aardwold, Cheetah, Brown Hyena, Spotted Hyena, Lion, Leopard, Wild Dog. Herbivores: Blesbuck, Buffalo, Eland, Elephant, Gemsbok, Giraffe, Red Hartebeest, Impala, Kudu, Nyala, Ostrich, Black and White Rhino, Sable, Springbok, Tsessebe, Waterbuck, Blue Wildebeest and Zebra. 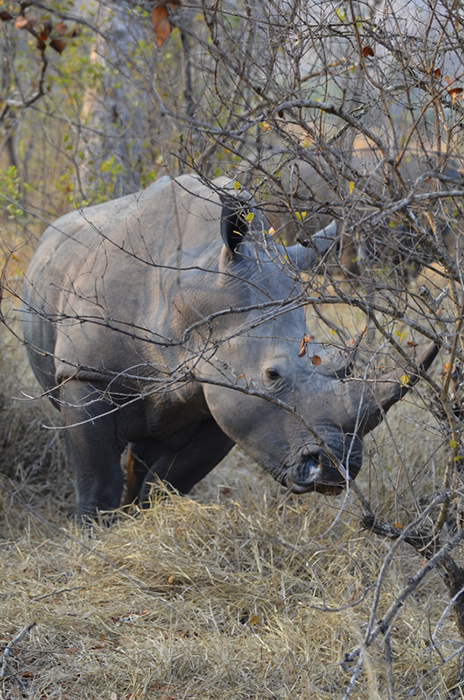 Activities - Morning and evening game drives in open 4x4 vehicles with guide. Guided walks.